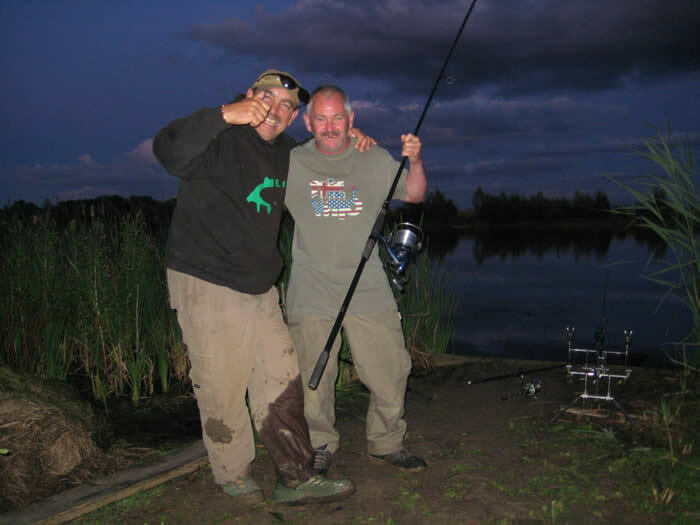 Wirral, Merseyside and District Carp Forum. 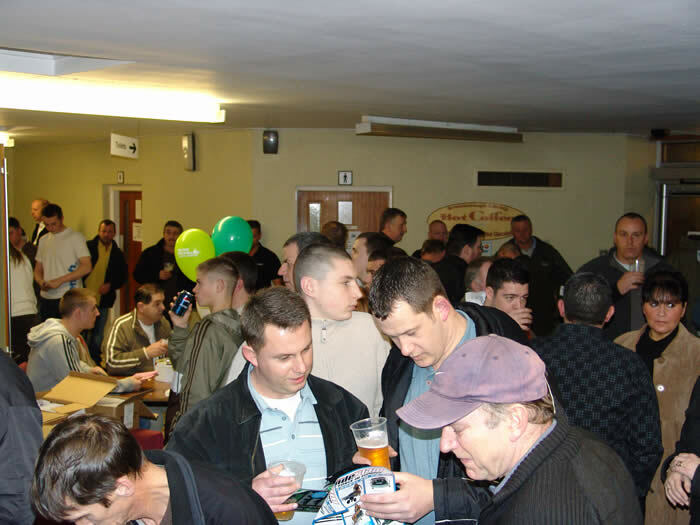 The forum is based on the Carp Society;s regional meeting those that remember, will tell you when the meeting were held in the Wirral they were the most attended through out the country. 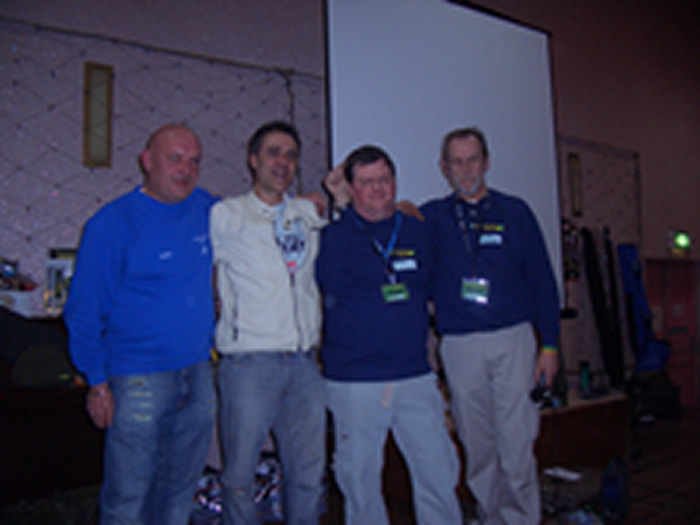 Started by Peter Henery and Alan Jones in 2006 they approached the local tackle shops for support. 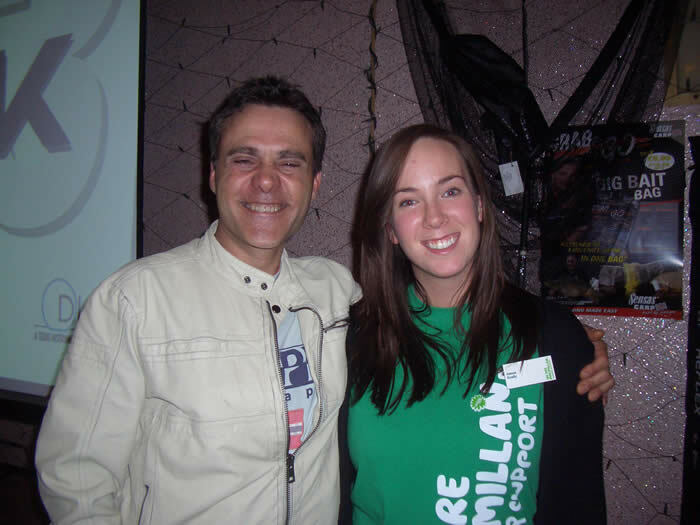 They then approached Kirk Farrell to help them, this come at time when Kirk and his family were using Macmillan when his wife was diagnosed with cancer. Kirk then rallied the trade to get behind the project, with all monies raised going to Macmillan Cancer Support.The whole idea of our forum is to bring to the Wirral some of the top carp anglers in the UK those that we all read about in angling press and to get them to explain there thinking, rigs, and how they approach there carp fishing. 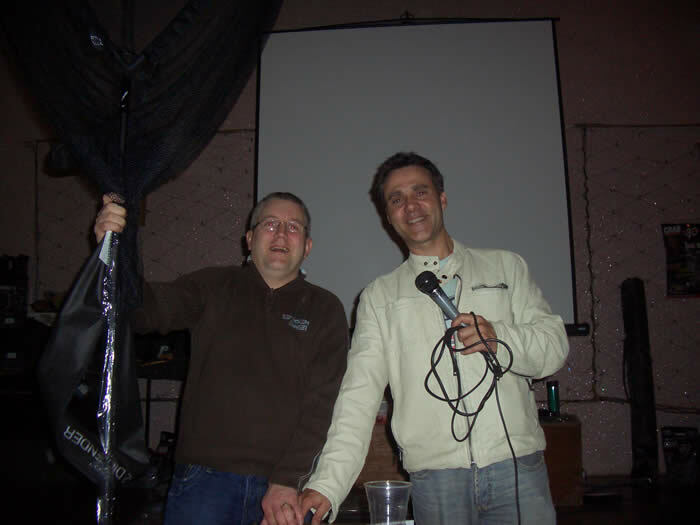 who donated a weeks fishing in France on there lake which formed part of the fabulous raffle prizes. 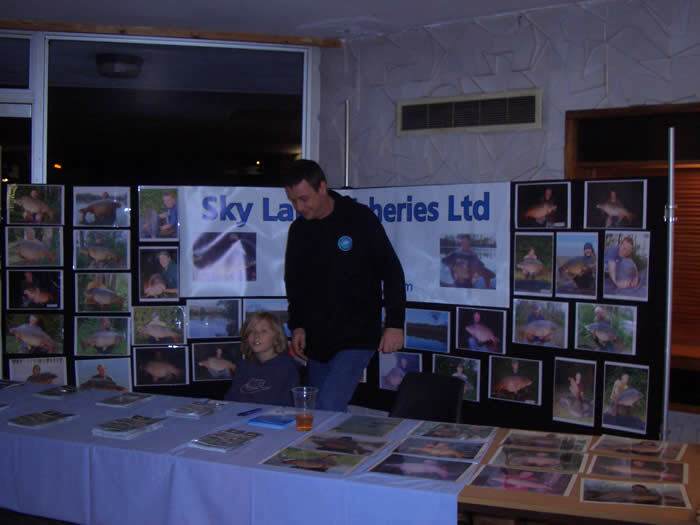 The format for each show is straight forward the generosity of local tackle trade in giving raffle prizes is fantastic, the trade then donate prizes, the guests buy raffle tickets, and if your number comes up you pick a prize of the prize table. a example of prizes are rod,s, 42" landing net, reels, to many to mention all the prizes are of excellent quality. 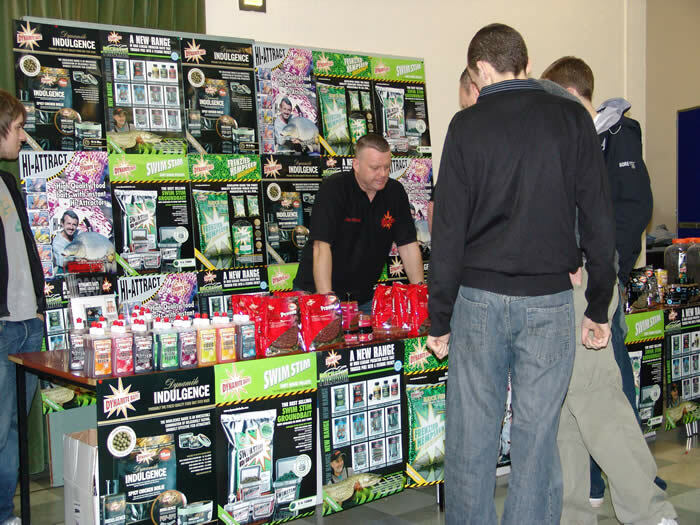 The show is not and never will be a car boot sale of fishing tackle. Its for friends old a new to get together, and see the latest products from some top manufacturers in the industry, and were they can purchase them, and of course raise as much money for a cause that effects 1 in 3 of us. Remember there is no specialist after sale service on internet auction sites. Support your Local Tackle Shop,s for 1st rate information and after sales support.
" We are extremely excited about how the event went, of course our guest speaker Matt Hayes was a real highlight, and together with existing and new friends of the angling world taking time to raise money for Macmillan, it most certainly was a evening to remember, we meet an angling celebrity, shared stories, got tips and raised lots of money for Macmillan"
Well we did get it on with" The Don" on the 20/02/09 and although the event is over for another year what a major success it was. The support for the raffle was stunning and although the numbers were down on the previous year everyone dug deep to support the cause. 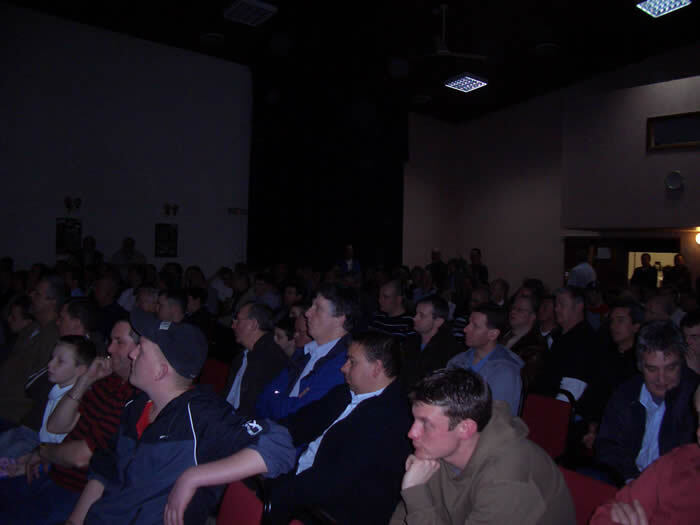 Keith Williams of Viper Bait Boats did a short presentation which stirred up up a lot of interest for the auction. on his own lake Las Saulepaquot this was auctioned and raised a staggering £1200.00. He commented "I was thrilled to help with such a great cause the organization from start to finish was superb its one of the best events we,ve done, well done to all the lads and i,am only willing to do it all again next year "
And a new Viper Icon Bait Boat donated by Viper which was auctioned for £290.00. Keith Williams commented " This is a cause that's close to mine and i,am sure many peoples,s heart we were delighted by the response we had and are willing to do it all again next year thanks for the invite kirk"
Another auction was for 2 people to fish with Derek for three nights on 1 of the top syndicate waters in the uk Cleverly Mere kindly donated by Ben Lofting of Cleverly Fisheries this raised £180.00. The total raised this year was a tremendous £2666.50. Our sincere thanks go to our friends in the trade as without them we would not have raised this amount of money. 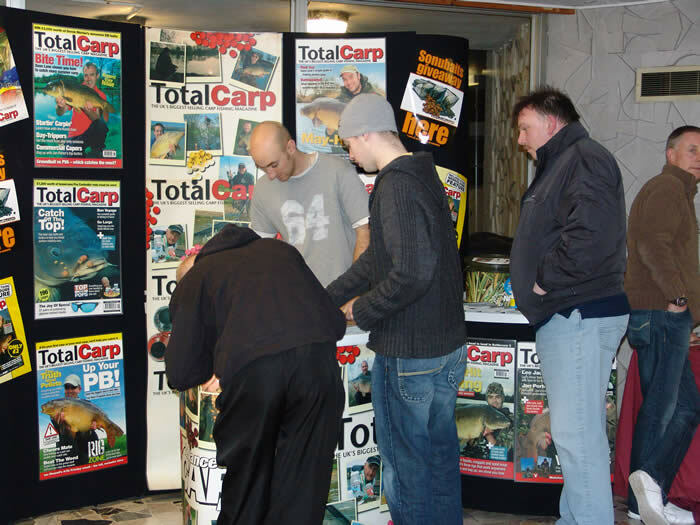 Total Carp / Advanced Carp Fishing Magazines. 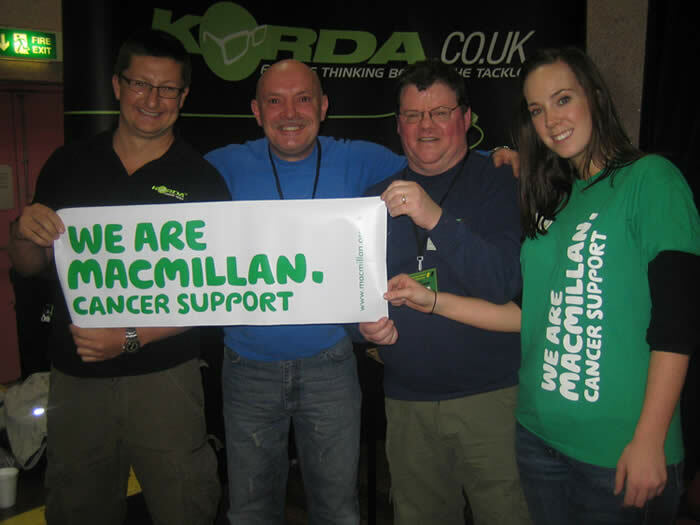 And of course all the northern carp anglers for your support on behalf of Macmillan Cancer Support we thank you. Danny gave what 250 guests thought was a fabulous and informative slide show that had audience in total silence for two and half hours, backing us at that show was. 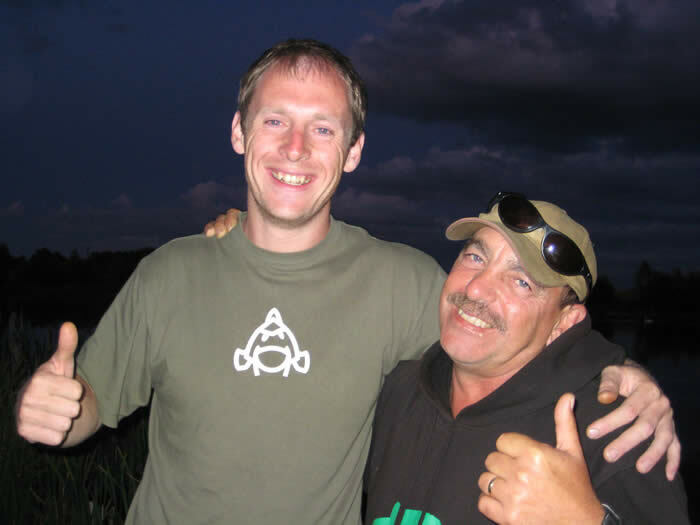 This year the Fat Carp Company donated a weeks fishing on their lake Etang Negreloube in the Limoges region of France. Prizes donated from tackle firms included. 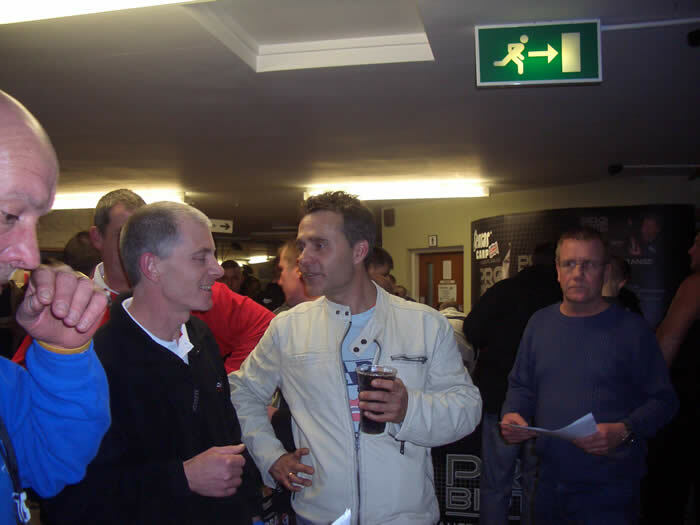 One lucky gentlemen took a gamble and choice the mystery prize which was a brown envelope. 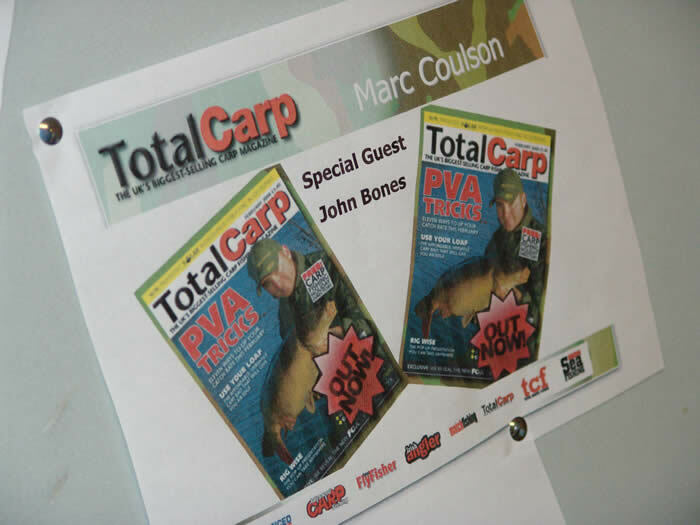 His prize was later presented to him by Marc Coulson overall Editor of Total Carp and Advanced Carp Magazine,s. His prize a Fox Euro Easy Dome XS with a retail value of £349-99. Some gamble. Aimee Scally, Community Fundraiser for the Wirral/Northwest is overjoyed at the amount of commitment and hard work Peter, Kirk, Paul, and Team have all put into making the evening a success, and knows that the evening could not have been without all there hard work. "Its amazing to see and work with such dedicated members of the local community who are taking time to involve Macmillan into their lives, raising money to help those affected by cancer in the local area. I cannot say thank you enough times, they have been fabulous fundraiser's and i really look forward to working with them again towards 2009".
"" 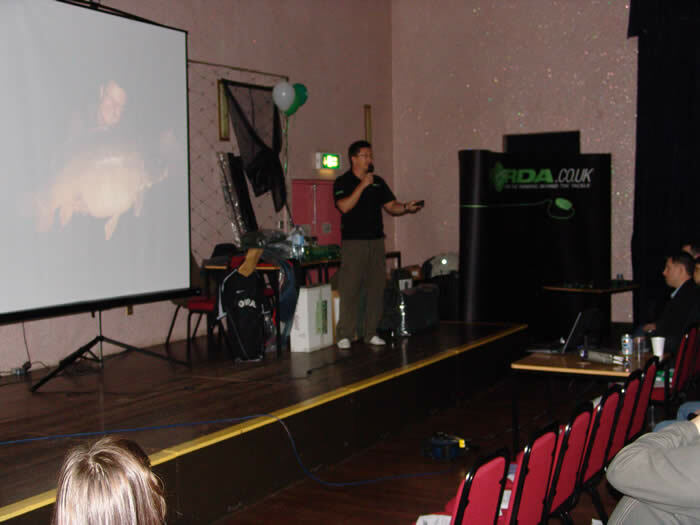 We were overwhelmed yet again at the success of the event, and of course our guest speaker Danny Fairbrass was a real highlight. As someone who has first hand experience of the devasting effect cancer not only has on the patient, but the whole of the family. I feel that if by this and future events we can ease the suffering of anyone in our community then its worthwhile. And together with existing and new friends of the angling world we will continue to raise money for Macmillan, it certainly was an evening to remember, we met a true carp angler who gave up his valuable time for our cause, shared stories, got tips and raised money for a charity...what a perfect mix"
Thanks go to all the Angling Public, the Trade, and Local Tackle Shops, this event raised £3552.49. Making the Grand Total at just over.